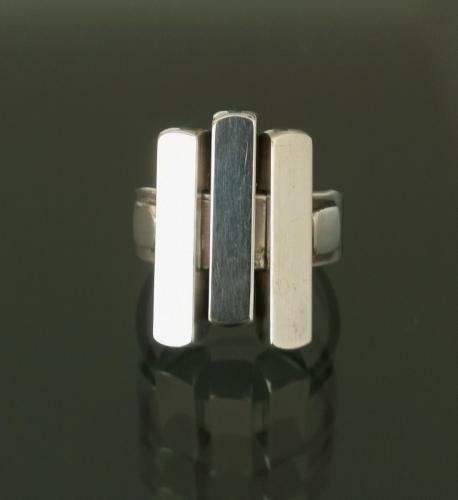 This silver ring is part of a small series of rings with three moving centre parts of various square section threaded on to either a pair of wires or a flat band, the ring has a rivet to each side of the bars to keep them in place. A very similar ring is in the Victoria And Albert Museum London, along with sketches for variations. Marked with Slutzsky's makers mark on reverse, the only piece of this type known to be marked at all.